People are asking about CEP or CRESR Seminars. Well, things are sort of in limbo right now. Thanks to Republic Act No. 9646 otherwise known as the “Real Estate Service Act of the Philippines” or RESA, we now have to wait until January 2010 for the IRR (Implementing Rules and Regulation) of the PRC (as posted by Rommel Dominguez in the comments area of DTI transfers regulation of real estate practice to PRC). There was a Symposium on RESA Law last August 7, but perhaps we can get in touch with the RBR Secretariat at (02)719-0736 look for Nancy or Gigi (401-3836) or Arnold (357-1513) to find out when they will organize another symposium. 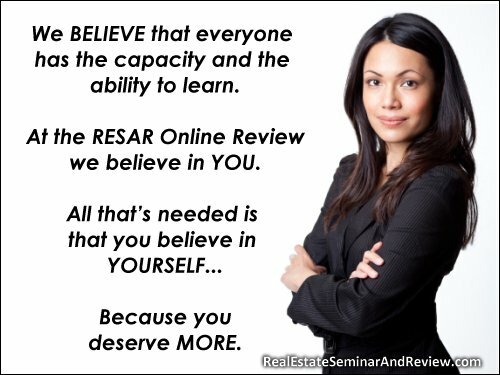 This refers to approved and pending applications for accreditation of Comprehensive Real Estate Seminars and Review (CRESR) and Continuing Education Program (CEP) in connection with the impending effectivity of the Real Estate Service Act of the Philippines (RESA). As the RESA or Republic Act No. 9646 was signed into law on 29 June by President Gloria Macapagal Arroyo and published in today’s issue of the Philippine Daily Inquirer, the same will be operative on 30 July 2009, fifteen days following its publication. In this regard, particularly with the express repeal of the very law from which DTI draws its authority to regulate the real estate service practice i.e., Sections 3 (e) and (ee) of Act No. 2728, as amended, and consequently, its implementing rules and regulations (Ministry Order No. 39 series of 1985, as amended), its mandate to, among others, conduct examinations, accredit CEP and CRESR, and the processing of licenses for that matter will be automatically withdrawn and transferred to the Professional Regulation Commission (PRC) upon effectivity of RESA. Stated in another way, PRC will thenceforth take DTI’s place. In view of the foregoing, it is categorically declared that accredited CRESR activities that had been and will be conducted henceforth may no longer serve the specific purpose for which it is carried out, i.e. as a prerequisite for taking licensure examination, given the fact that once RESA takes effect all DTI issuances, including accreditation of CRESR will be rendered nugatory. In its stead, guidelines that will be issued by PRC shall then apply. In the same vein, accredited CEP activities will of no consequence once RESA is in force. As it is, its relevance extends only for the purpose of securing license with DTI before 30 July 2009. While on the subject, your attention is drawn to DTI’s solitary role in the implementation of the Act as laid down in Section 41 of the RESA, i.e., the transfer of all pertinent documents and records to the PRC ninety (90) days from the effectivity thereof. Anyway, let’s stay tuned for other news and developments. inquiry for 2012 CEP…i need to renew my license.